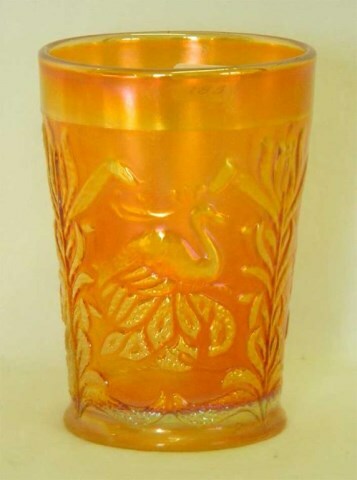 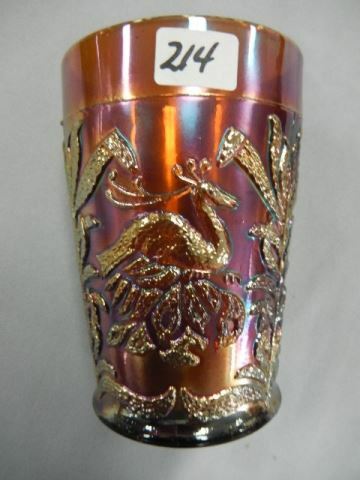 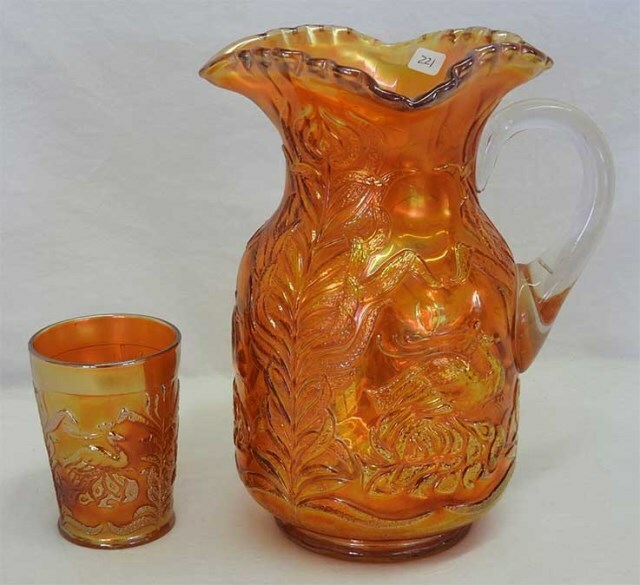 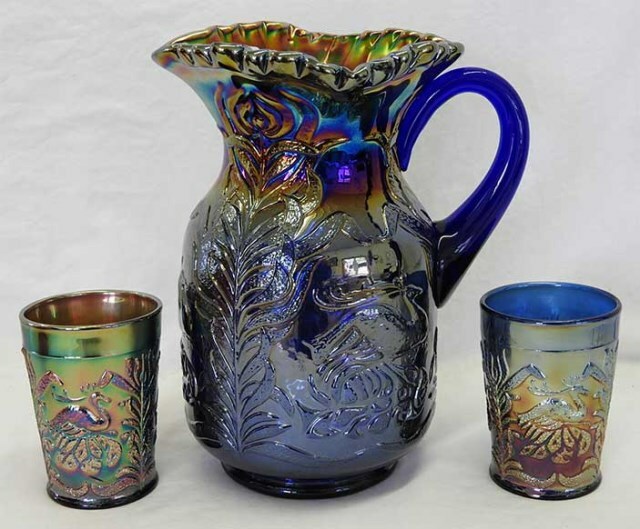 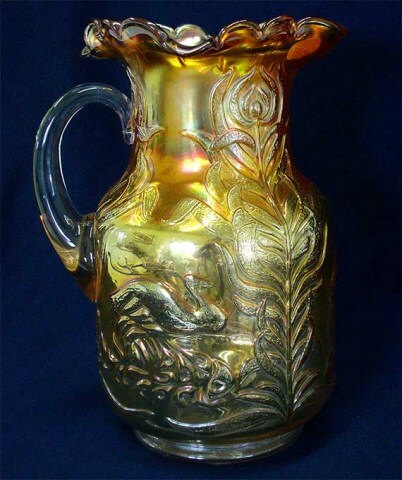 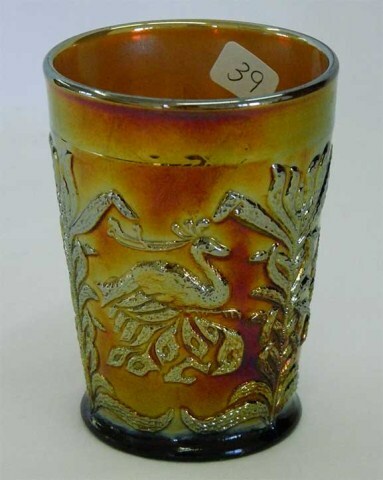 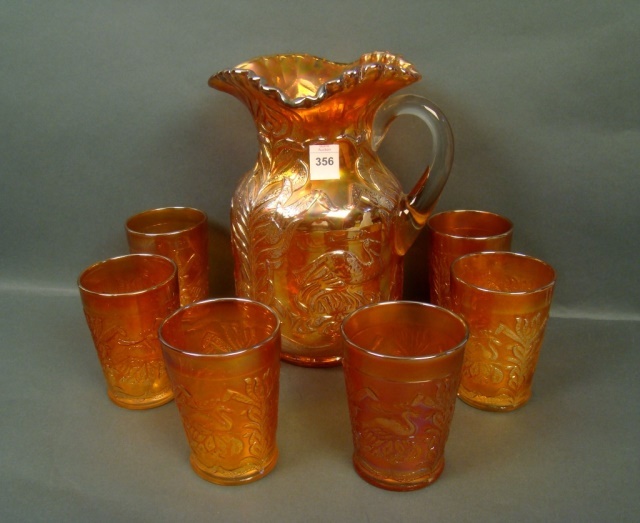 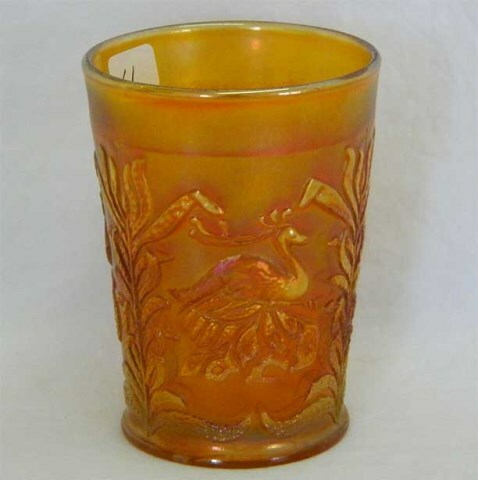 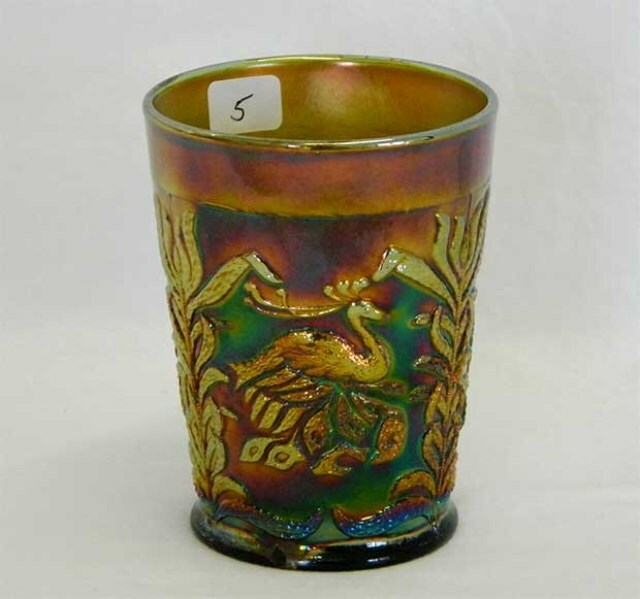 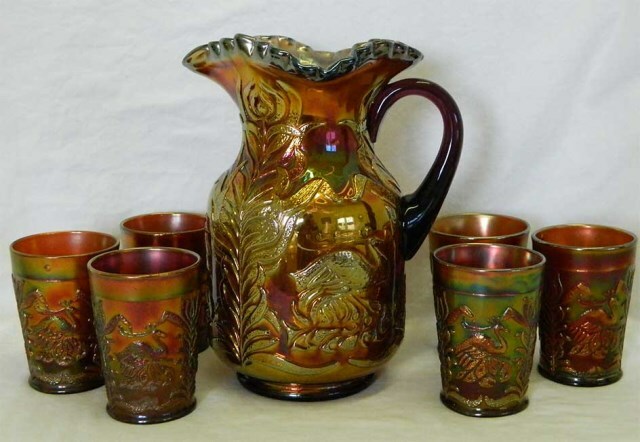 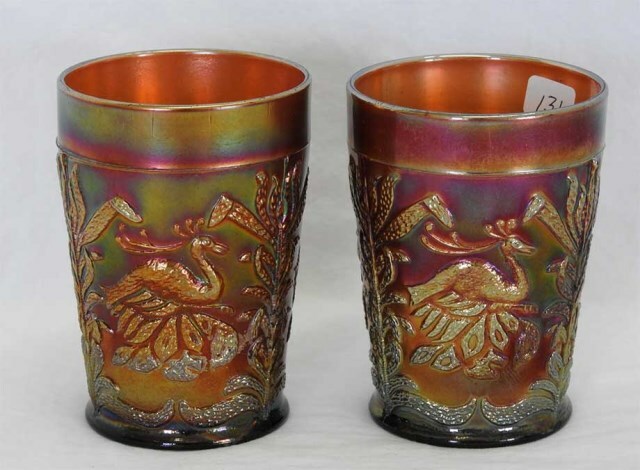 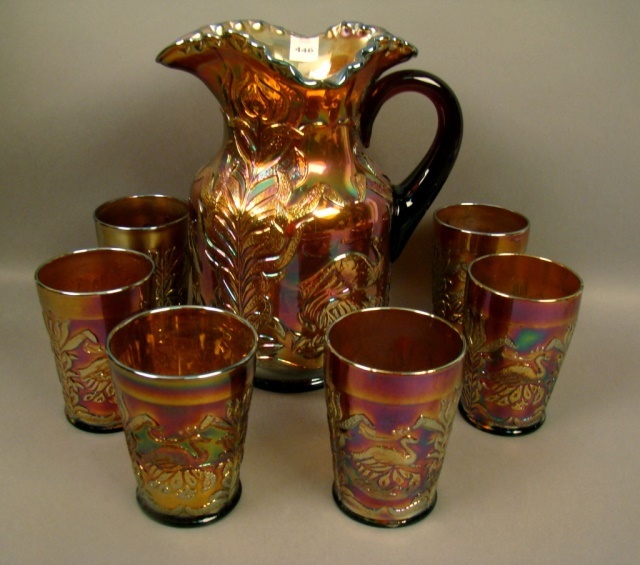 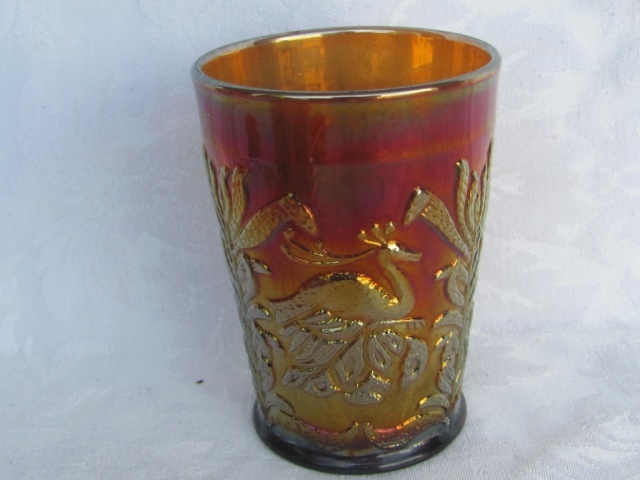 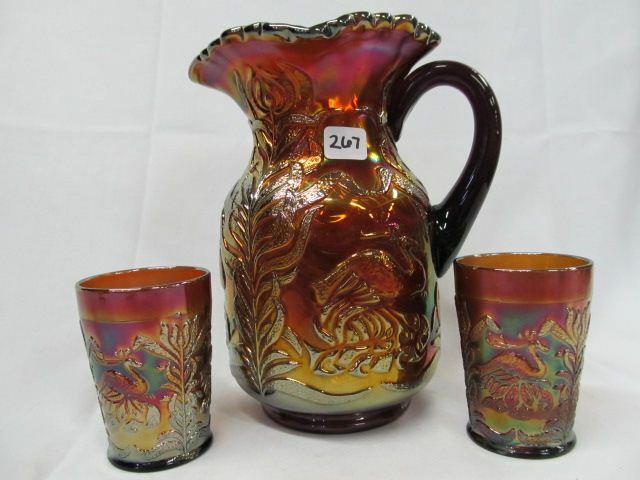 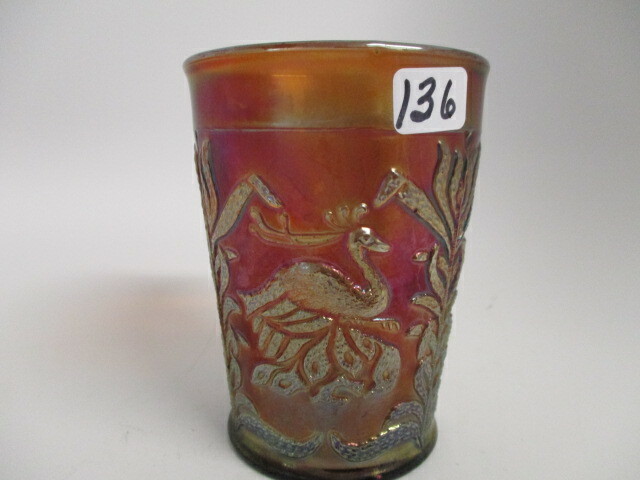 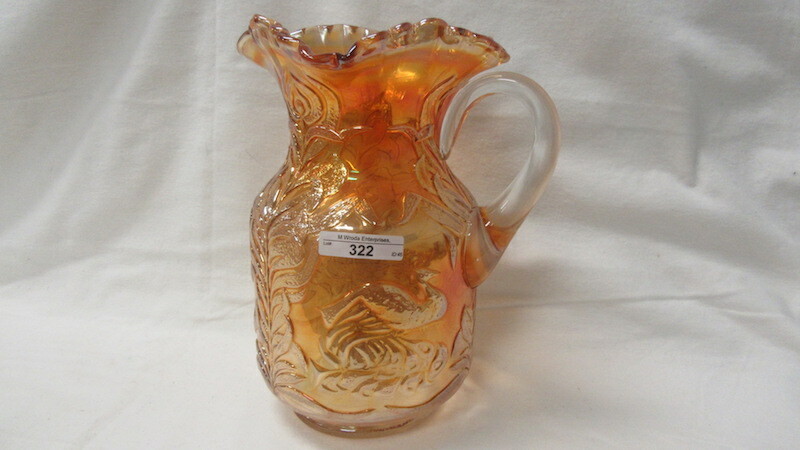 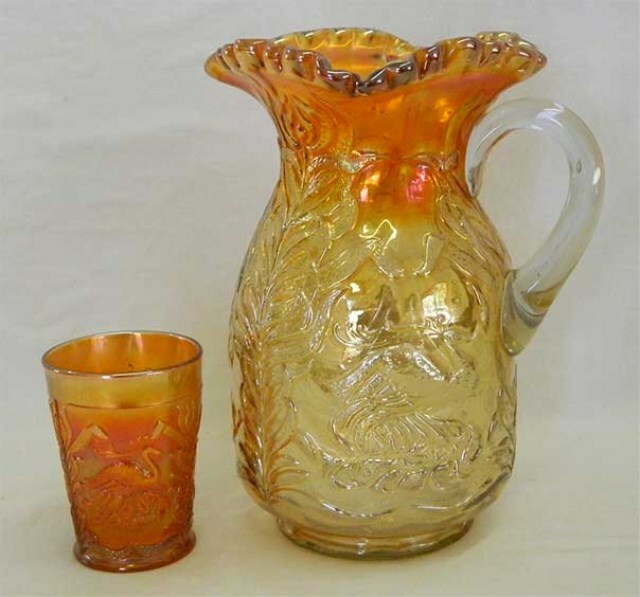 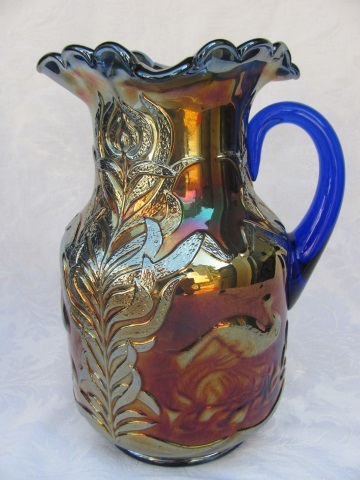 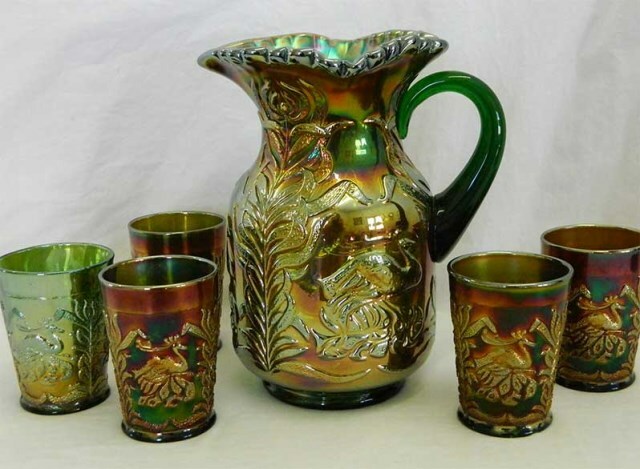 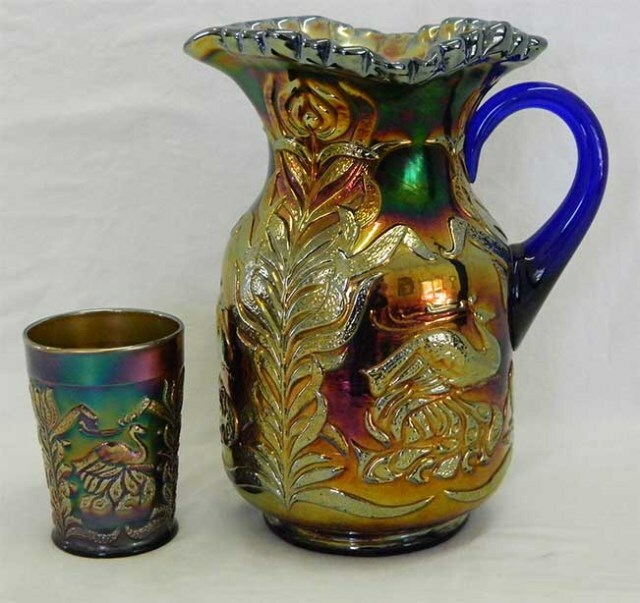 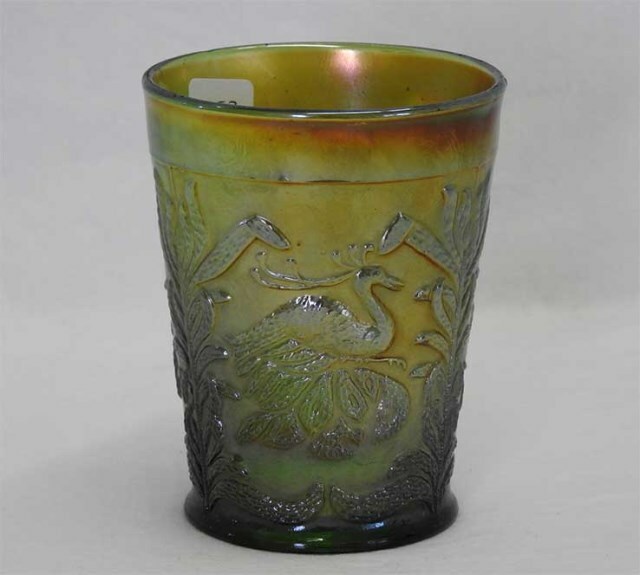 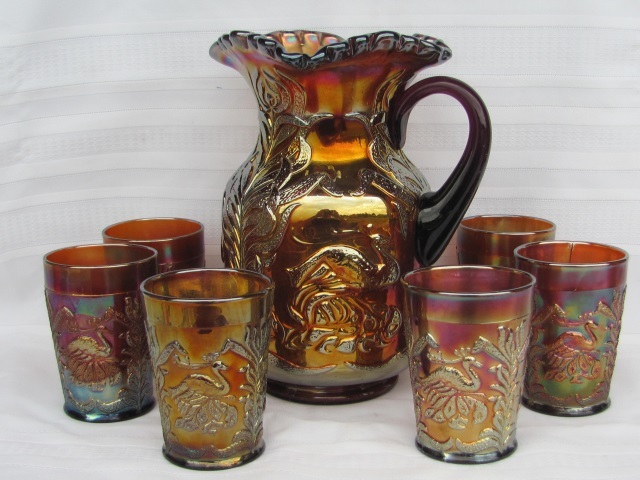 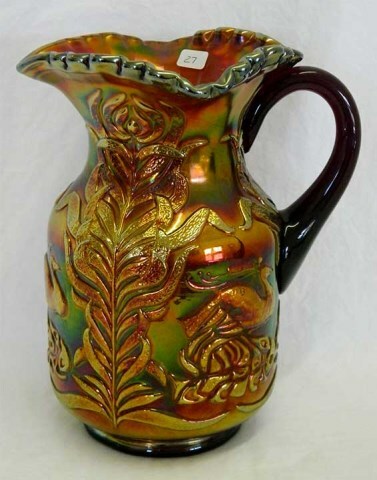 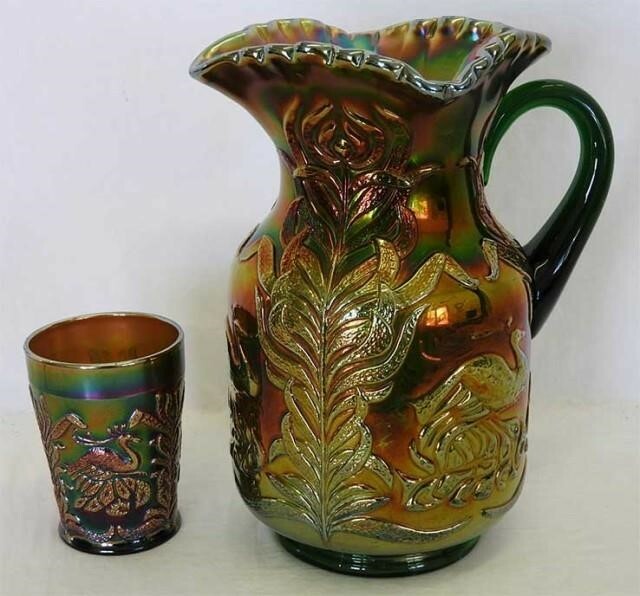 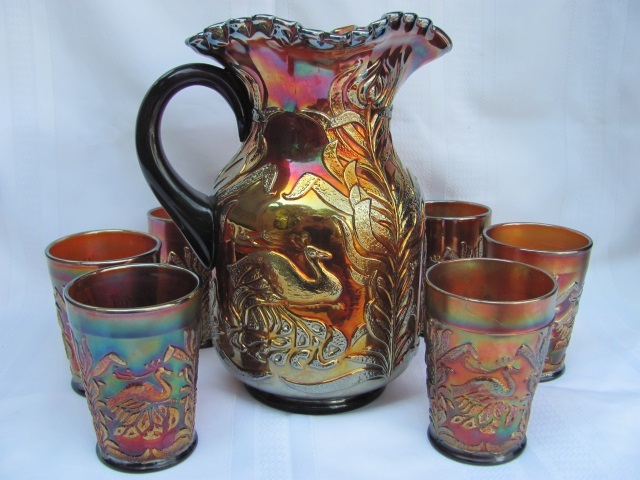 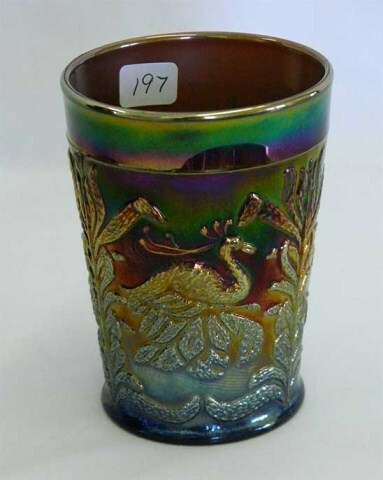 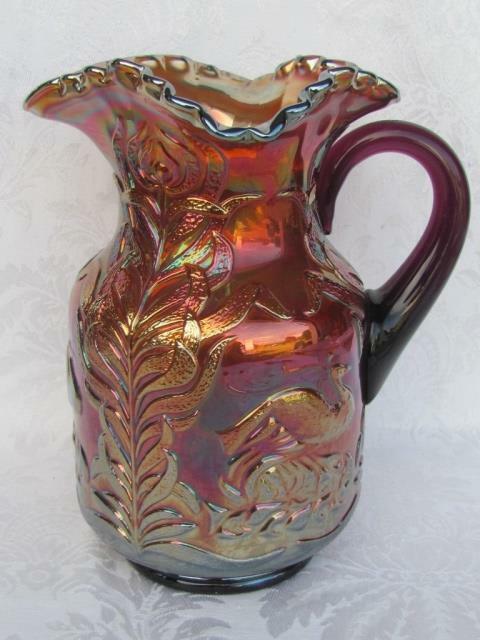 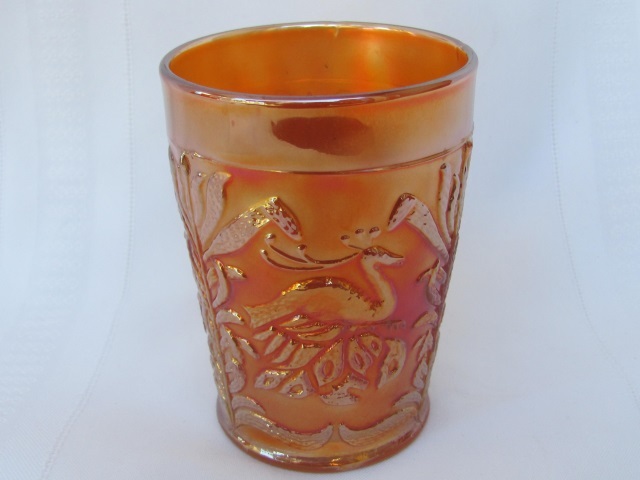 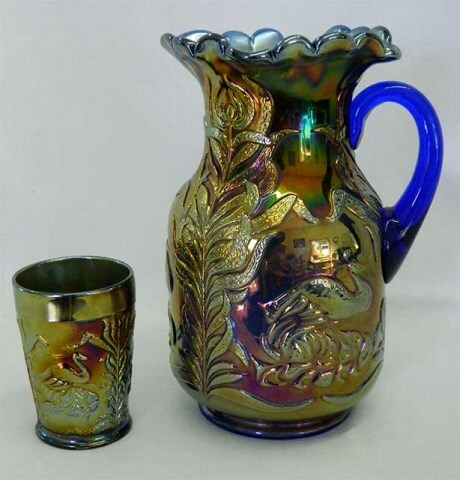 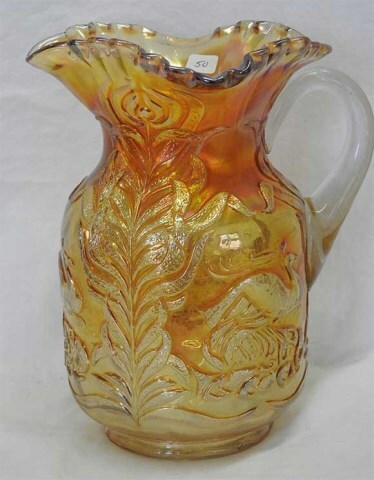 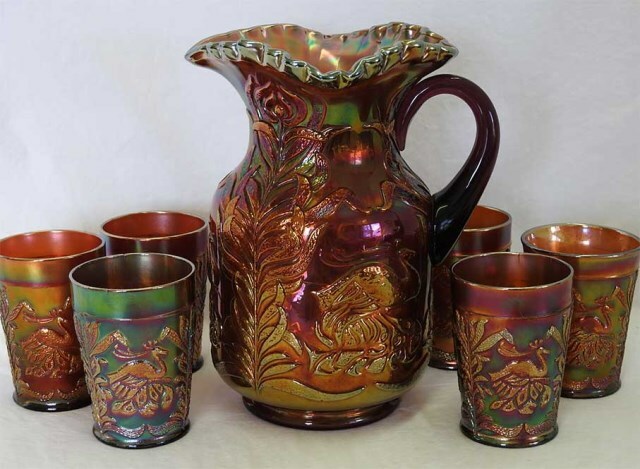 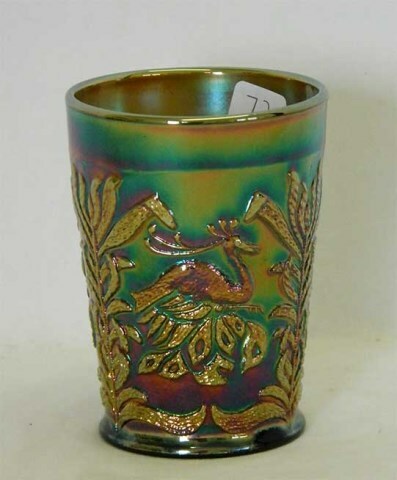 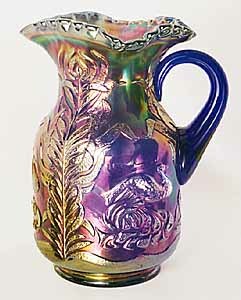 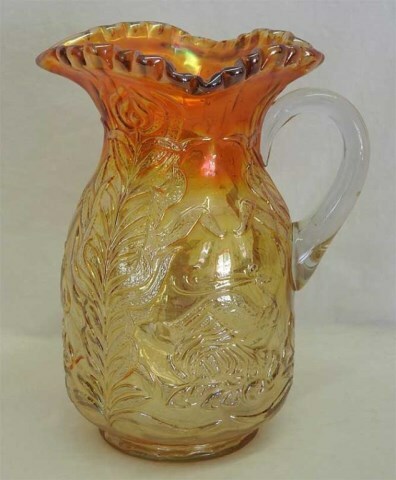 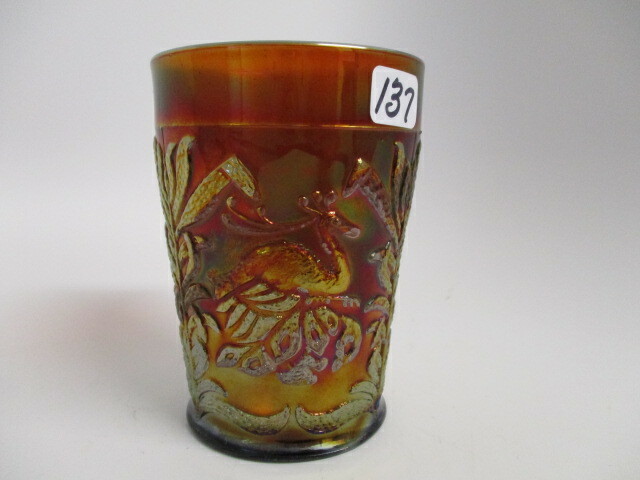 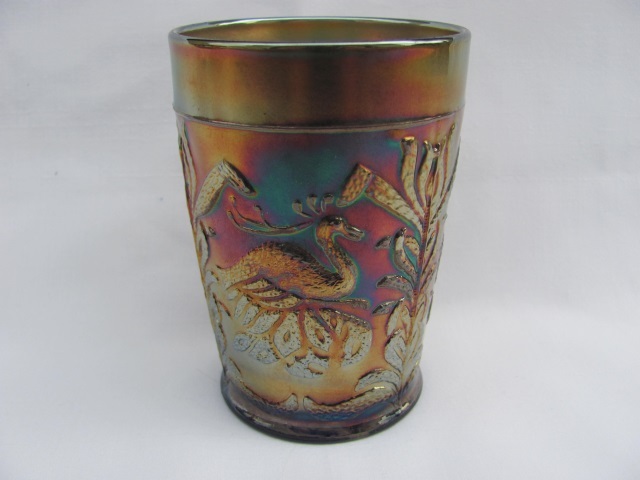 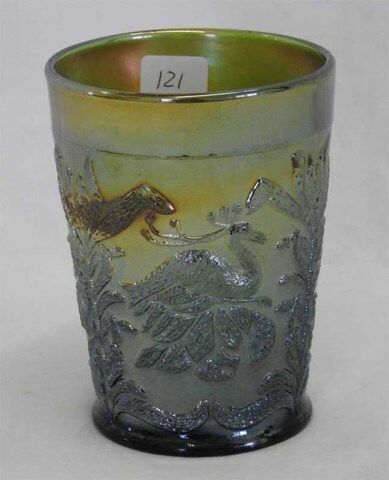 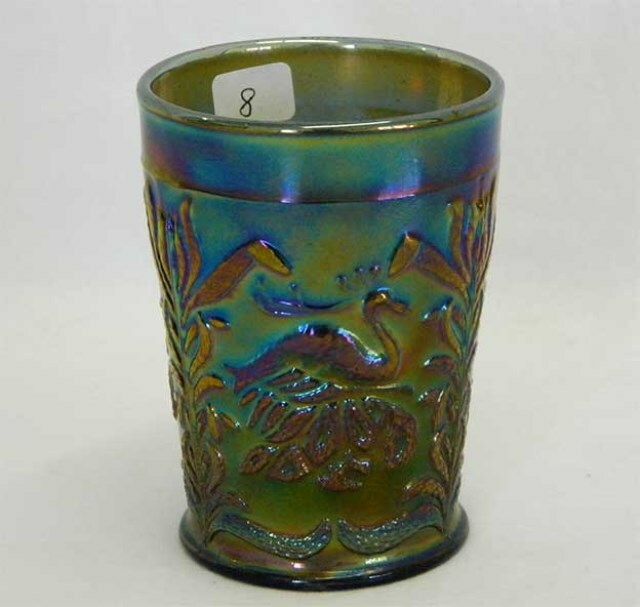 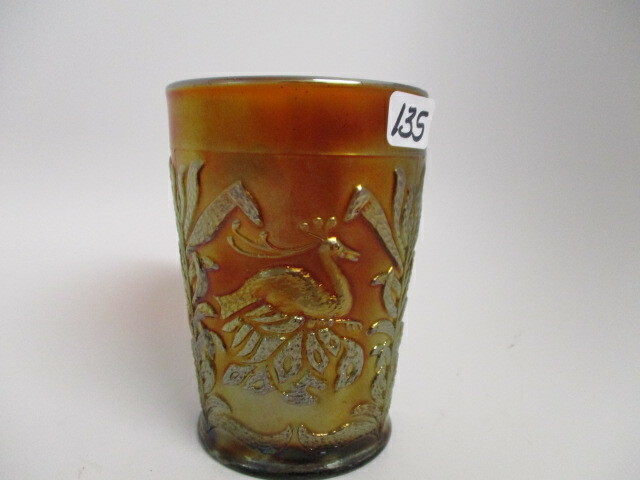 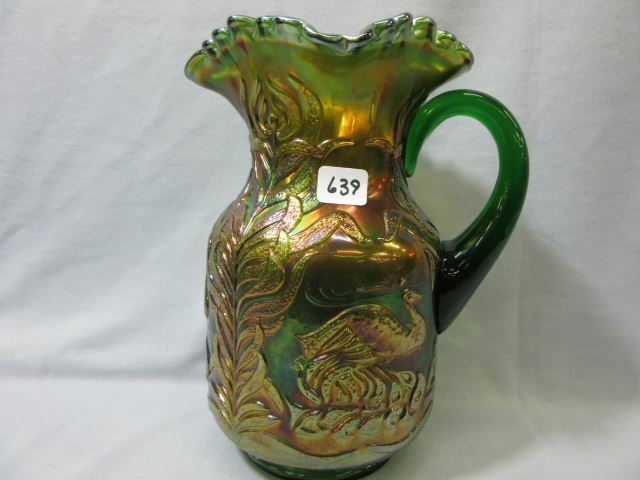 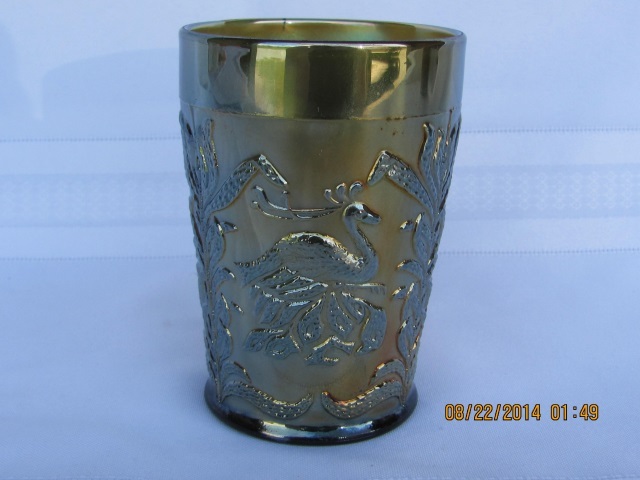 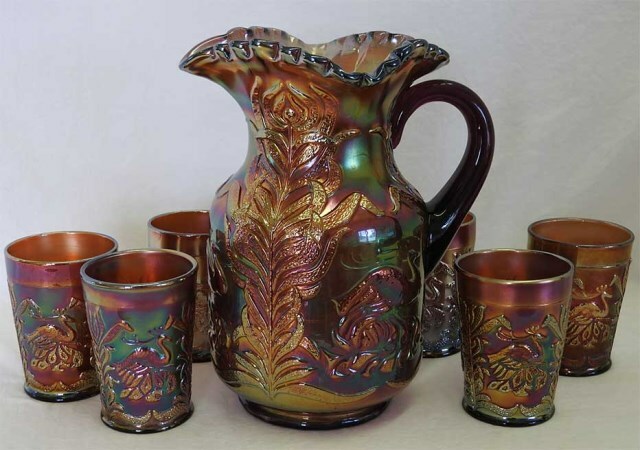 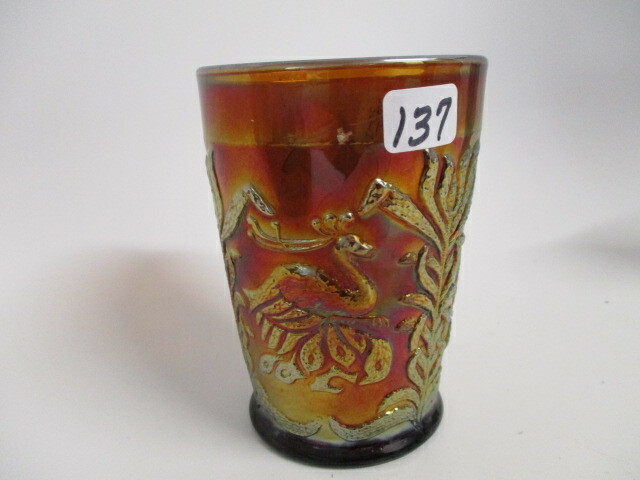 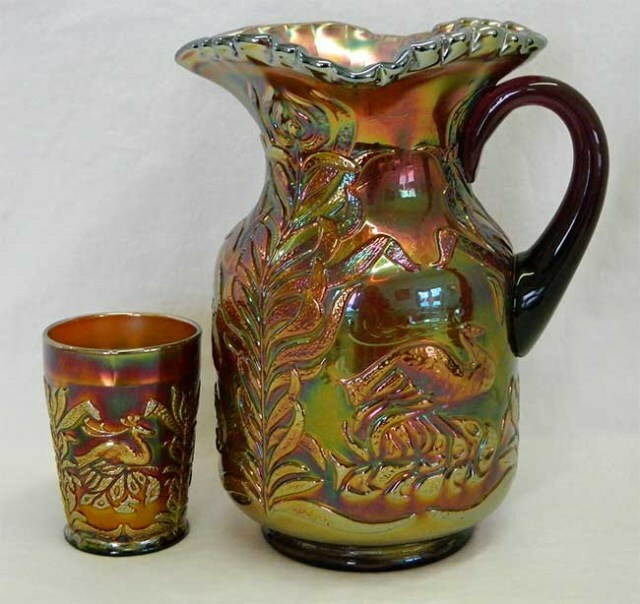 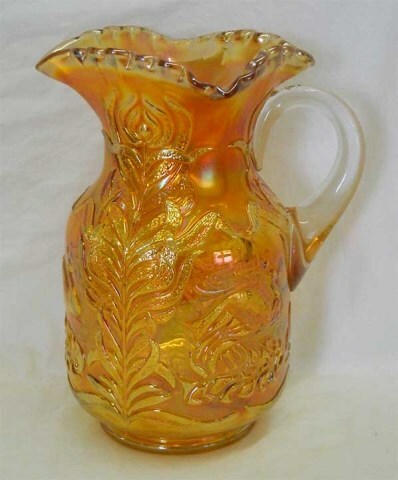 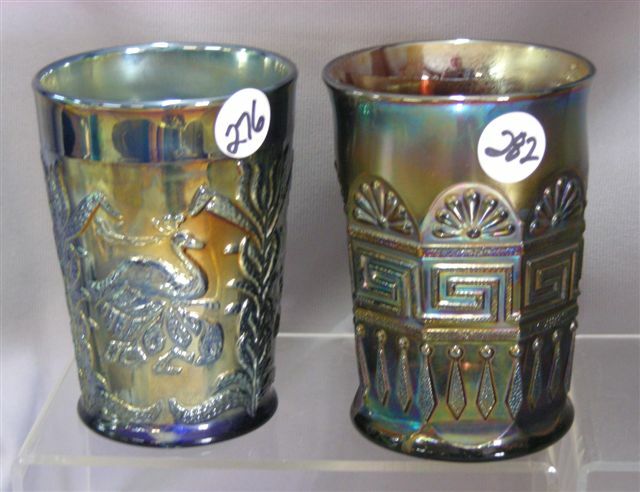 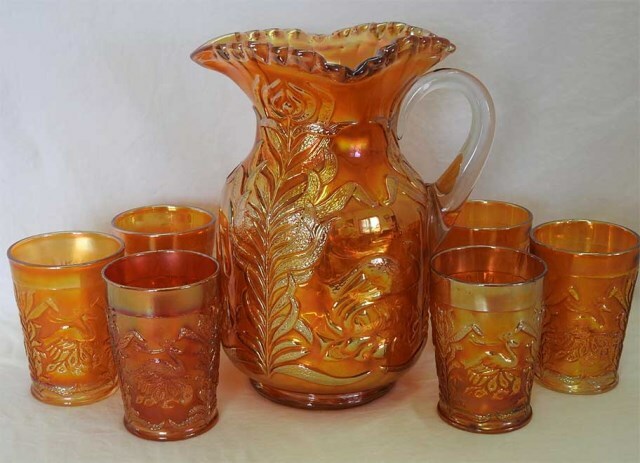 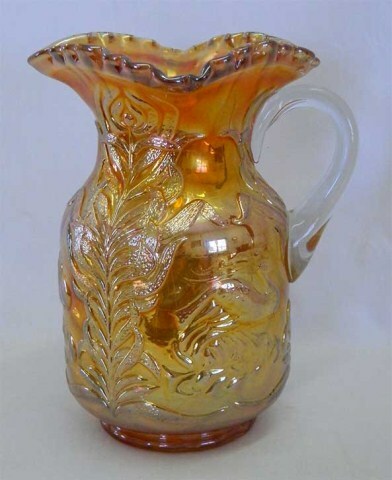 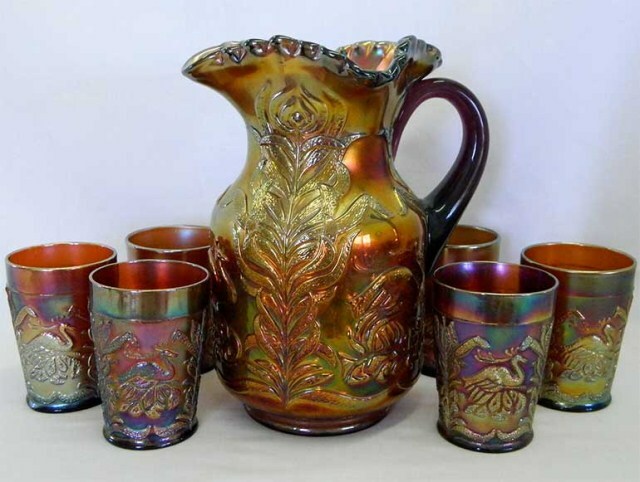 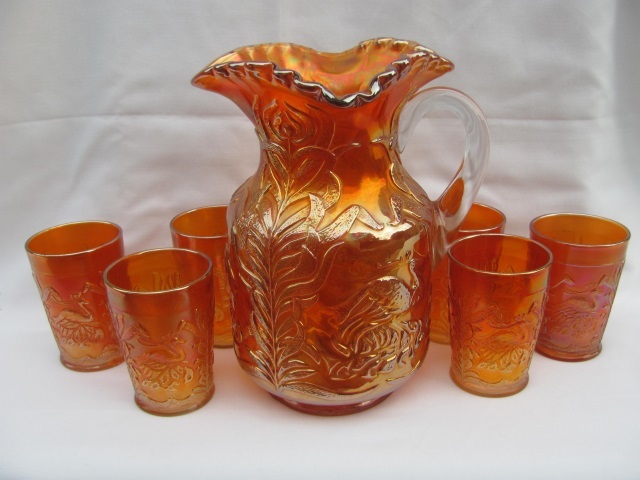 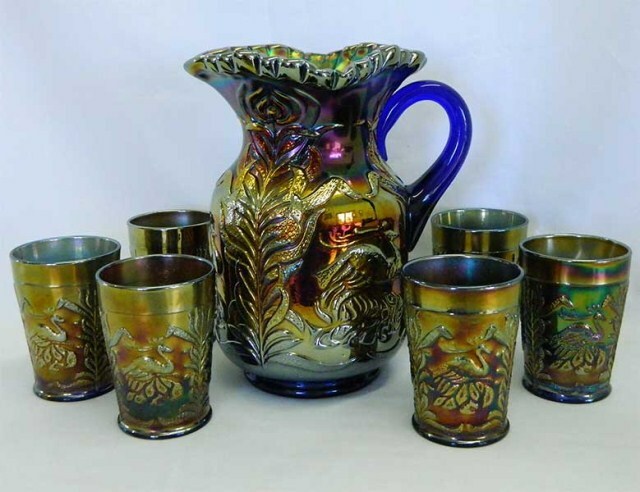 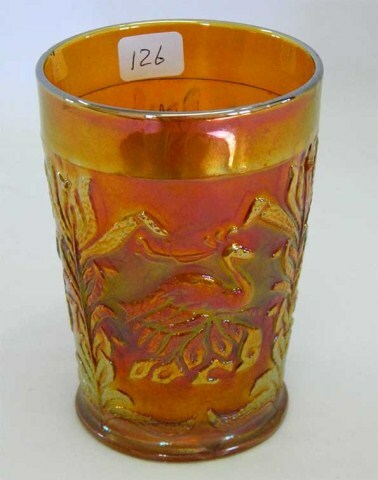 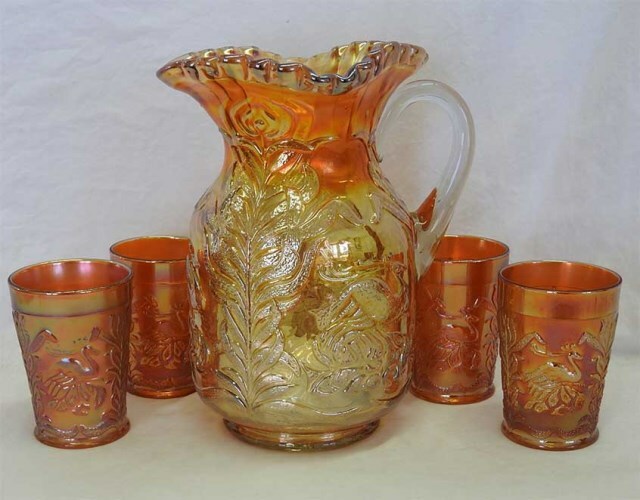 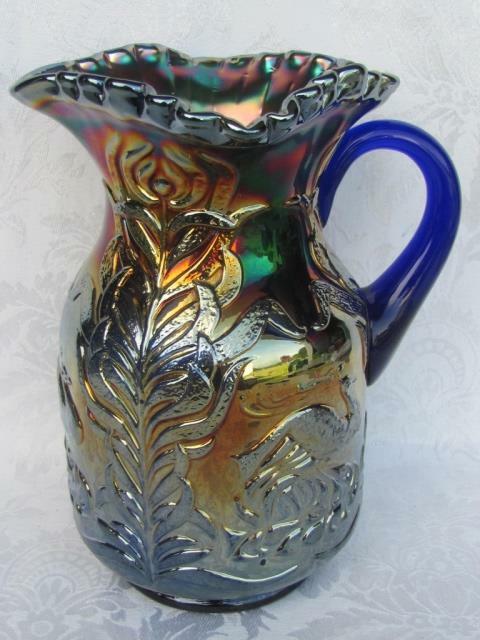 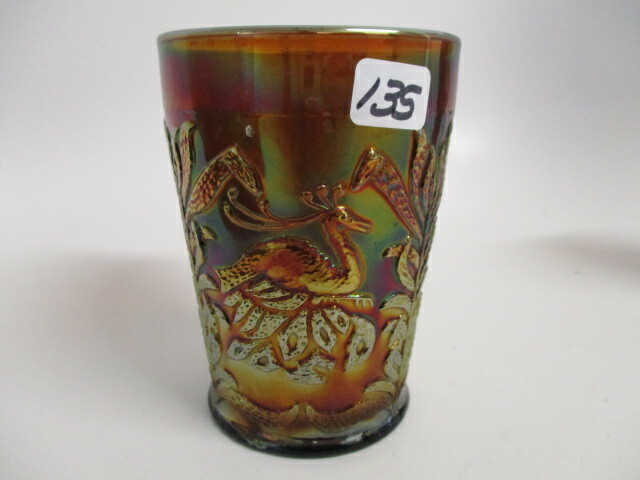 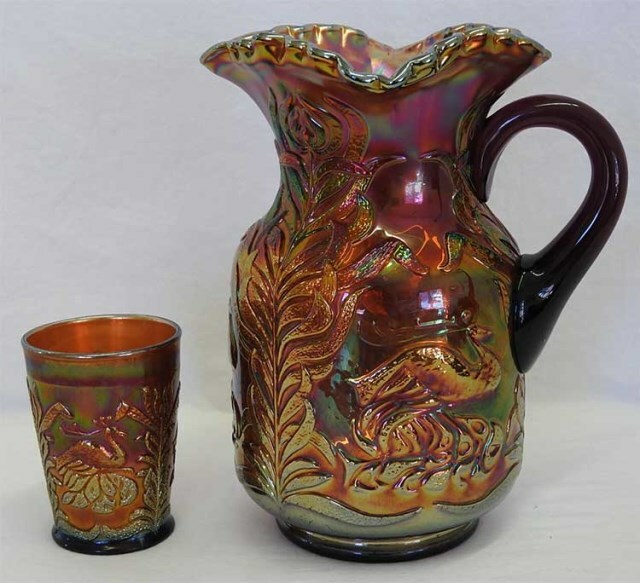 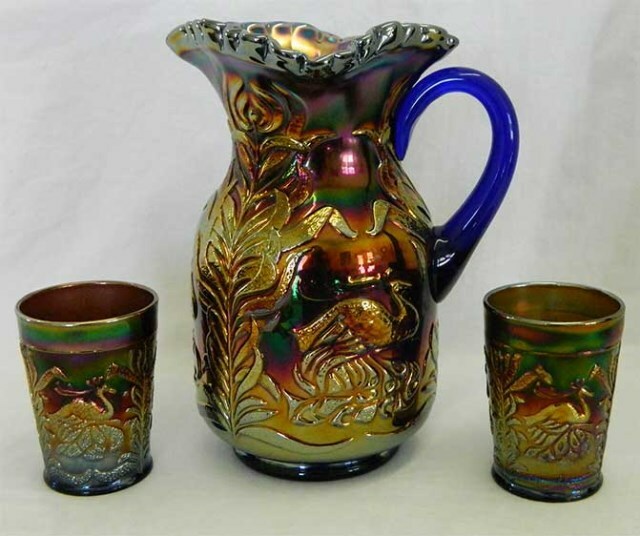 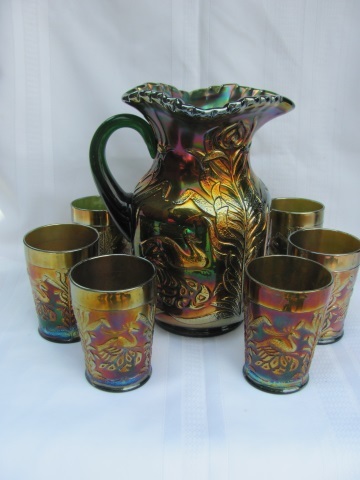 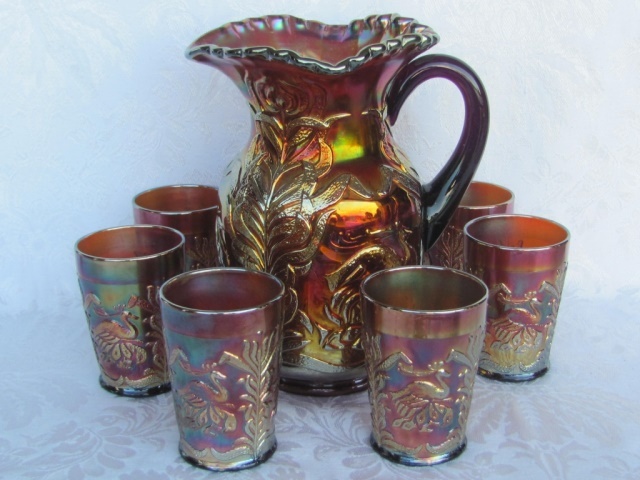 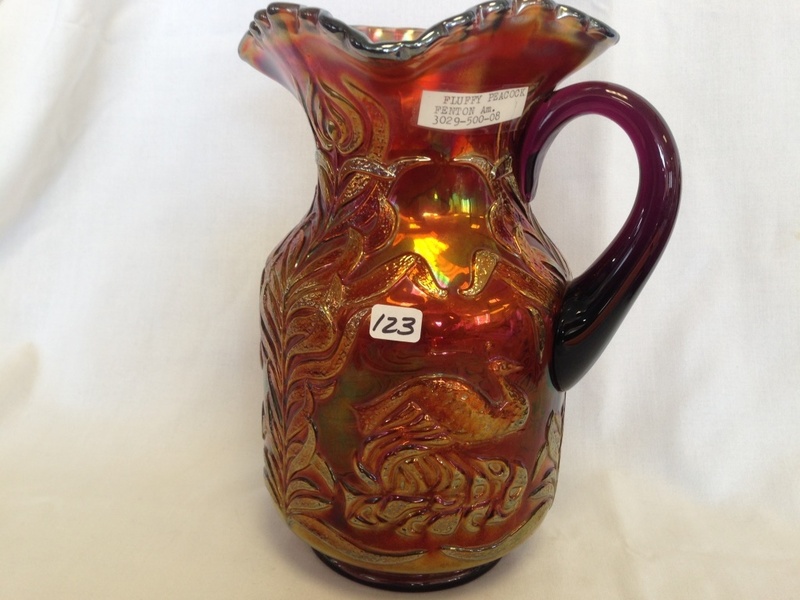 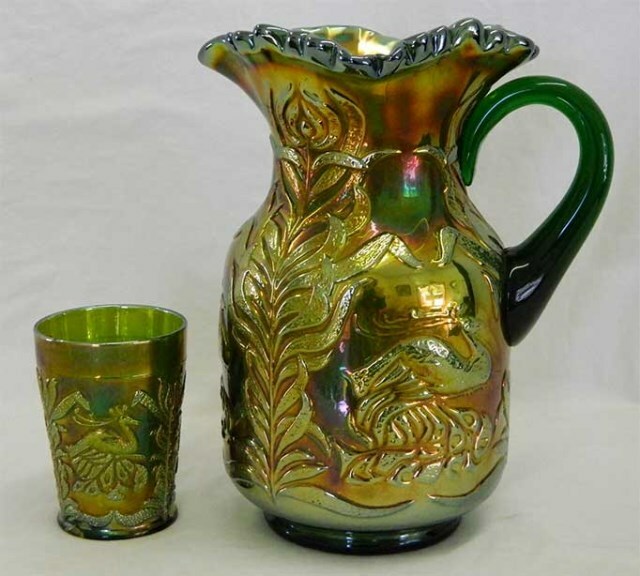 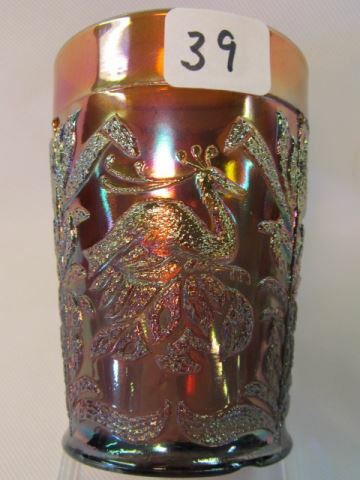 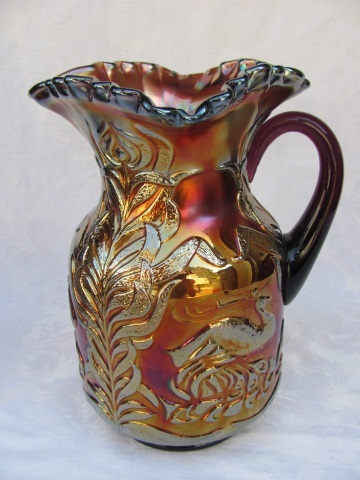 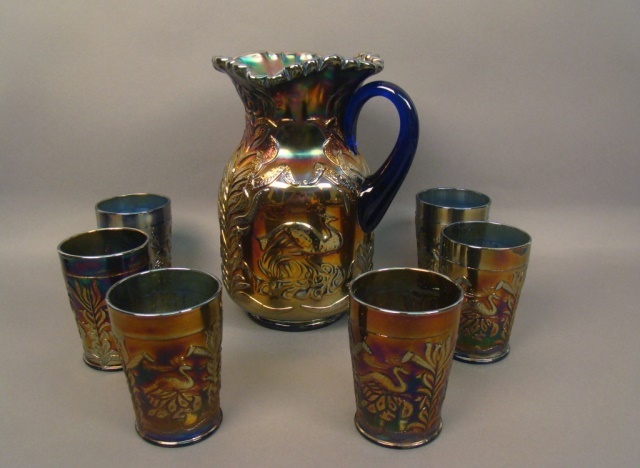 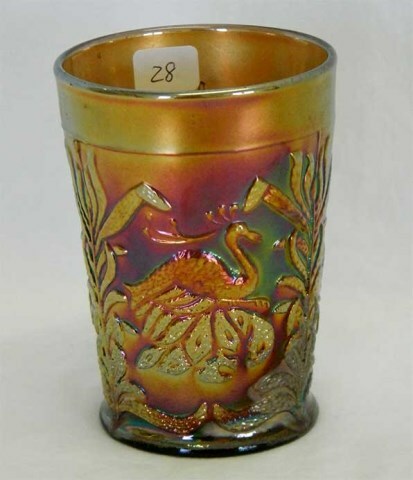 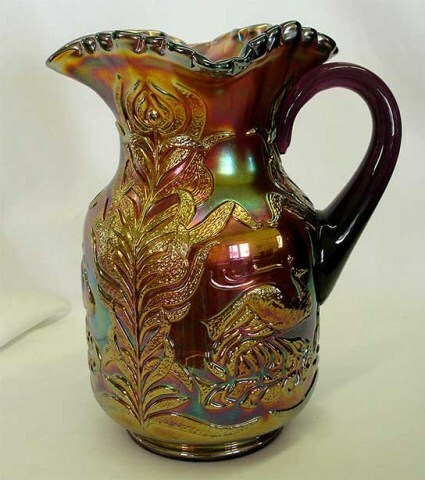 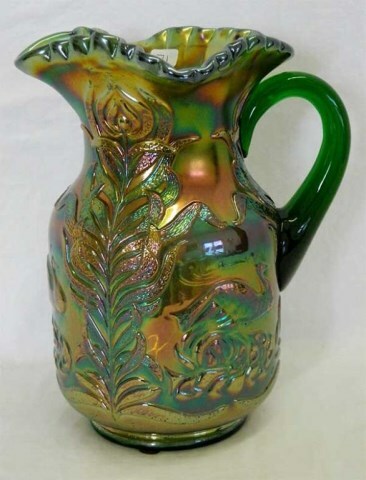 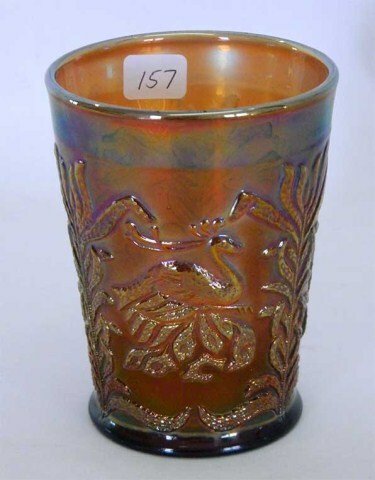 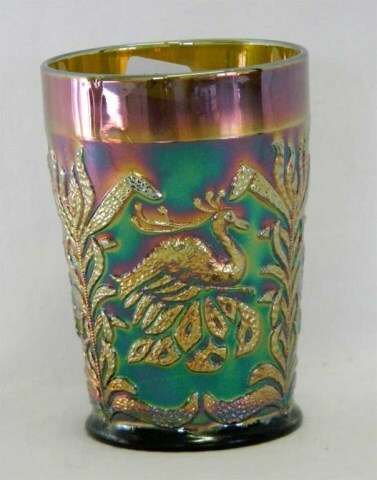 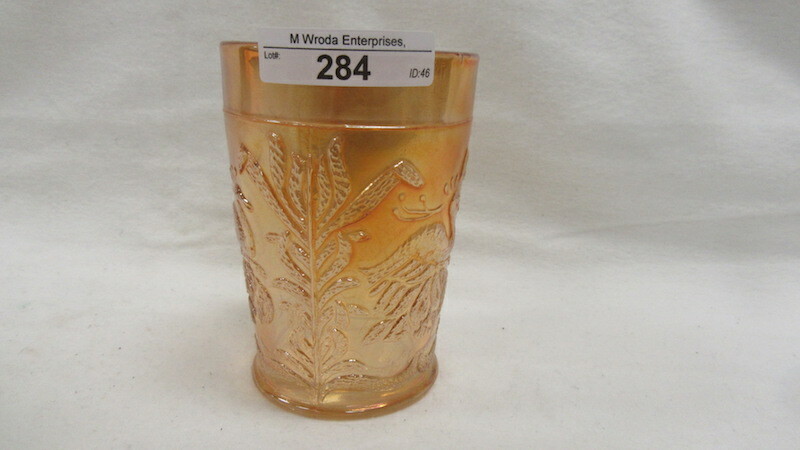 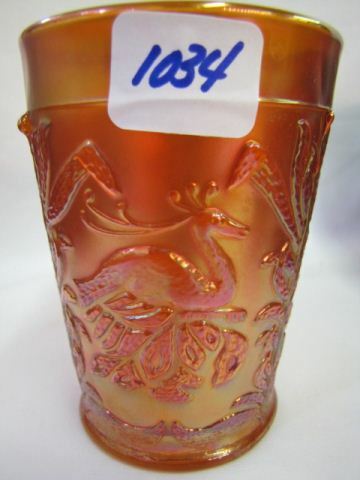 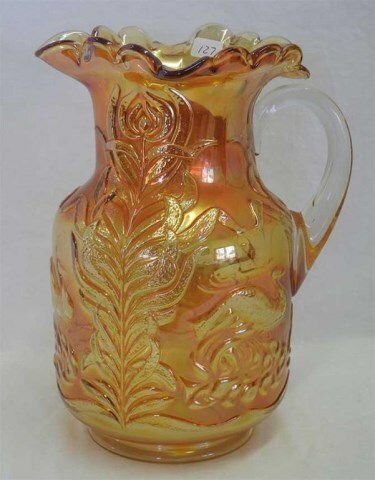 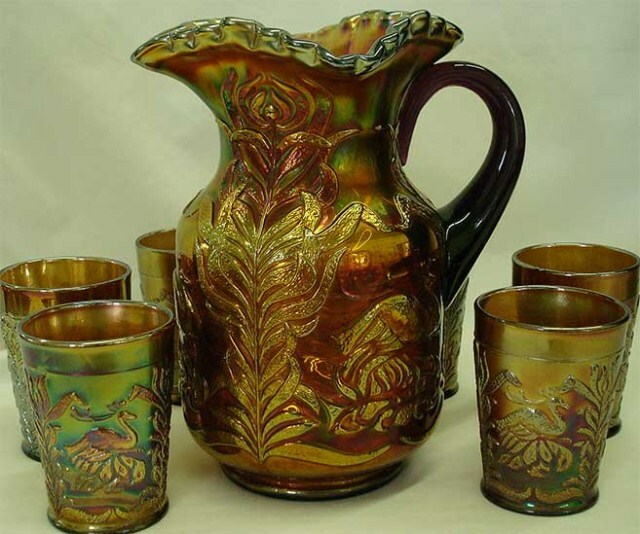 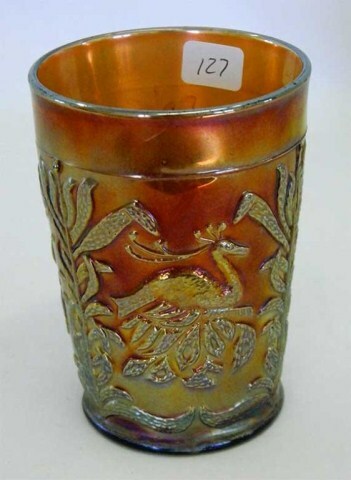 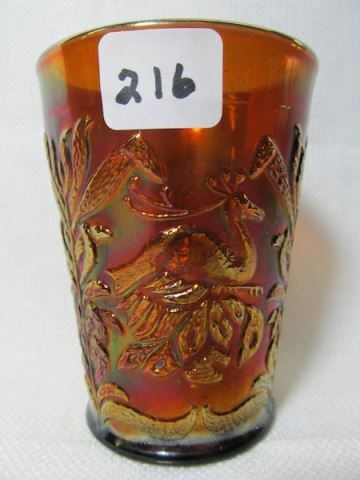 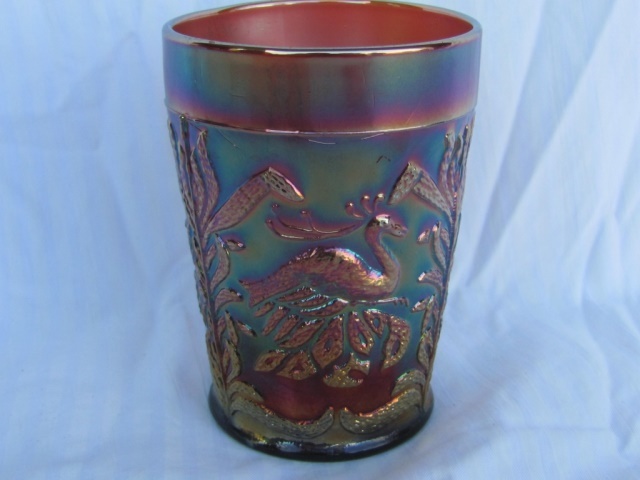 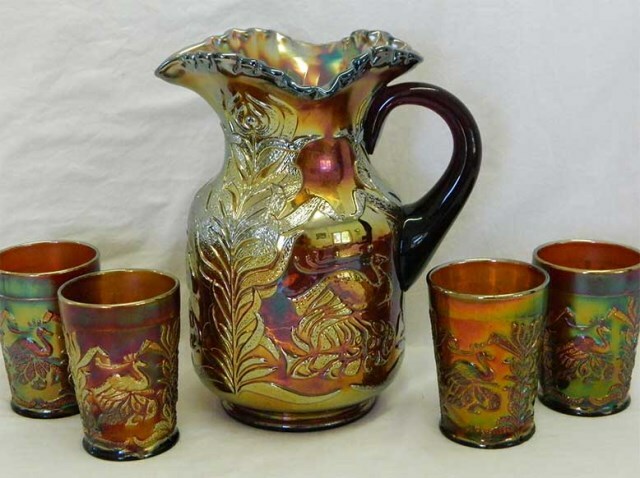 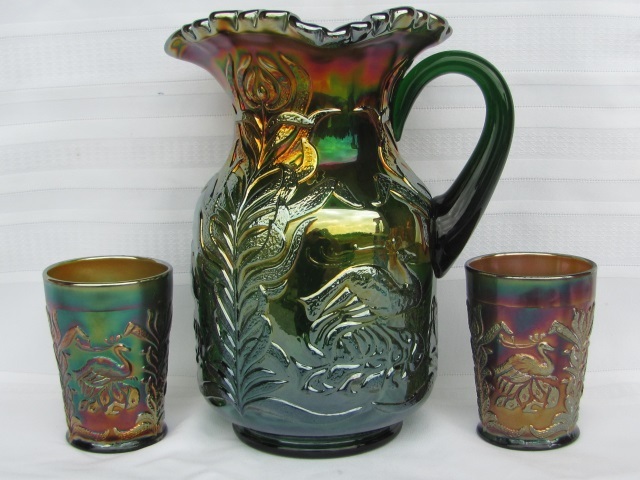 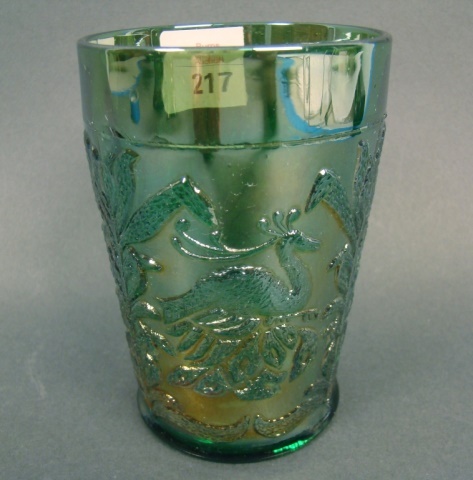 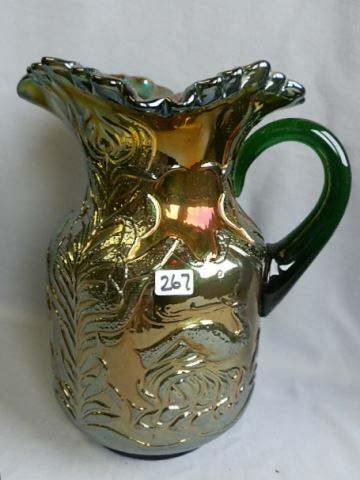 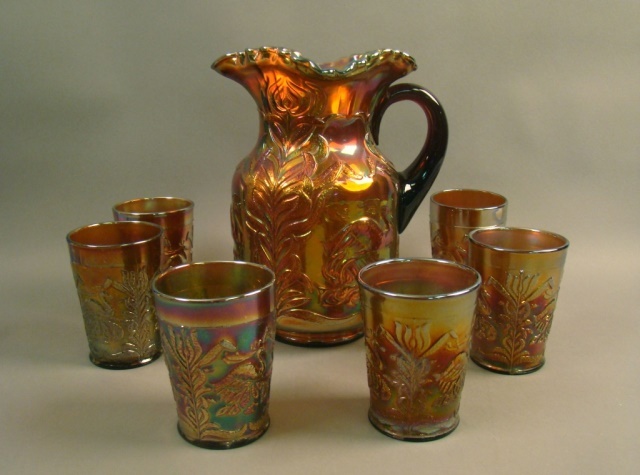 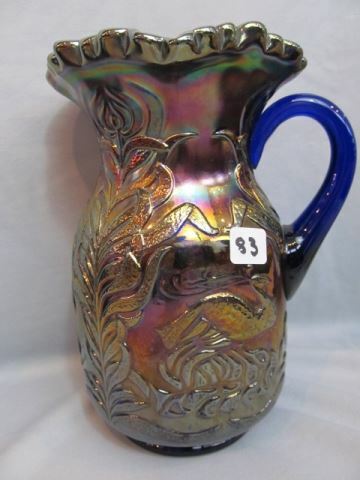 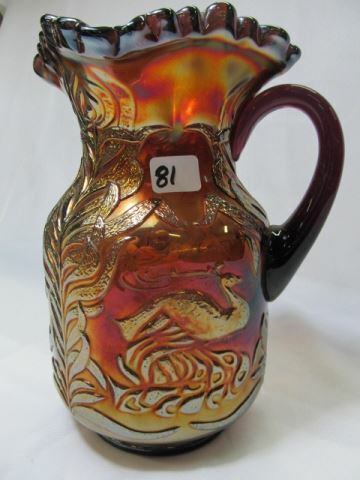 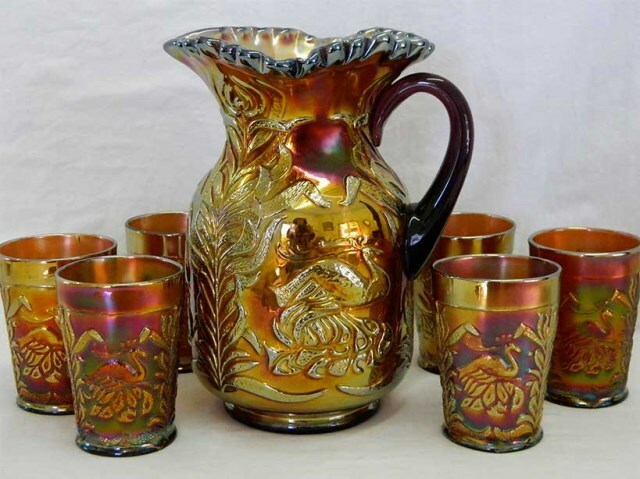 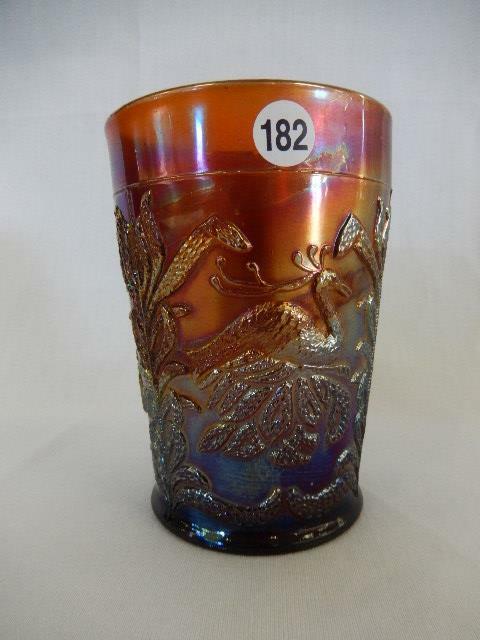 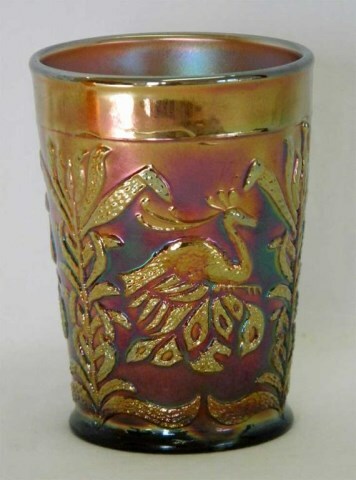 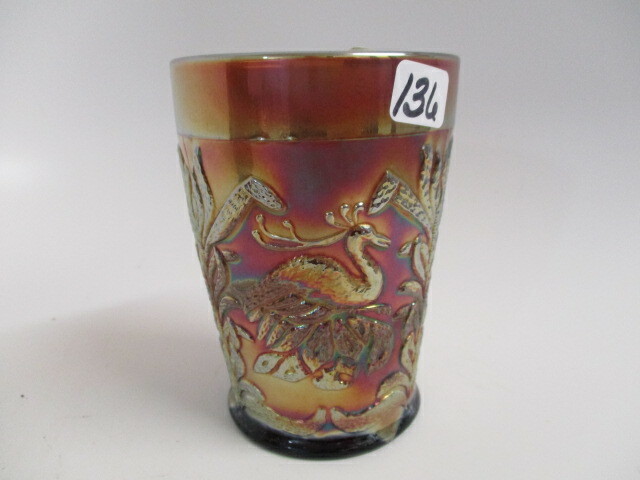 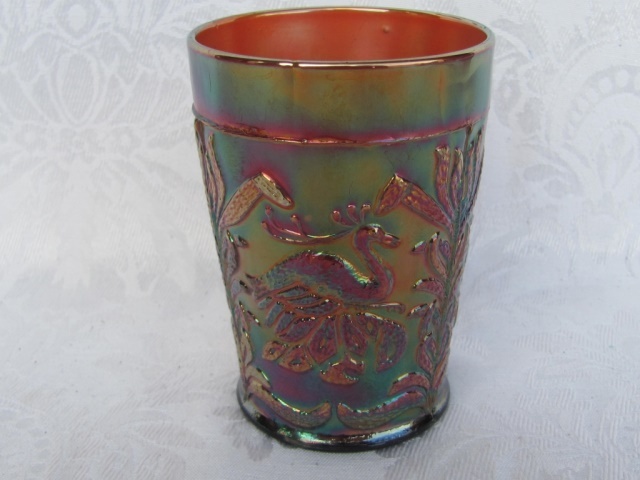 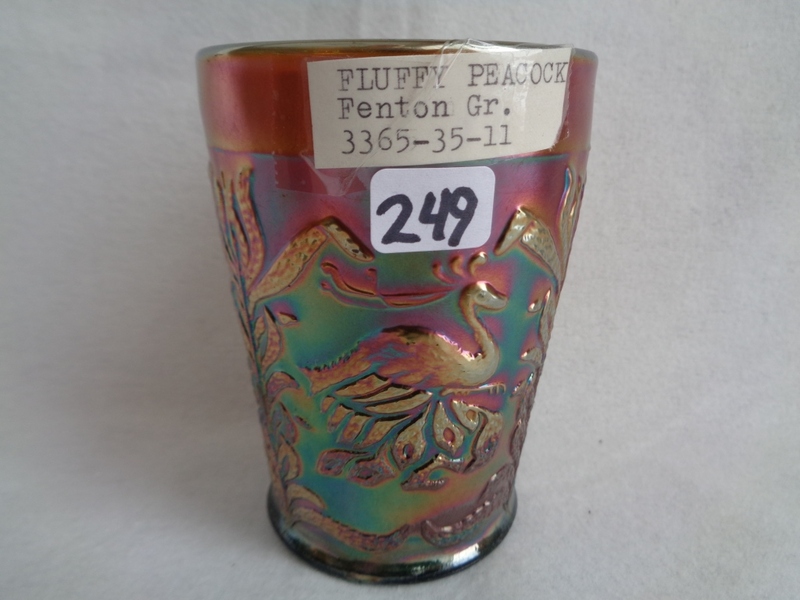 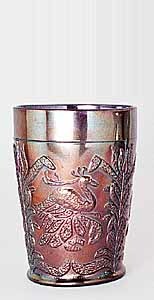 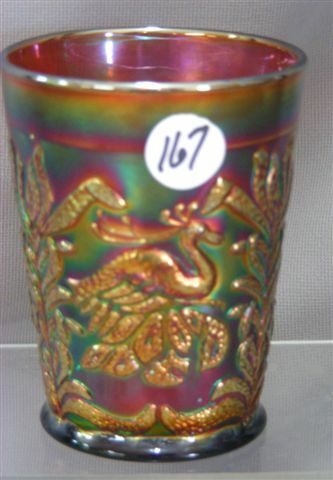 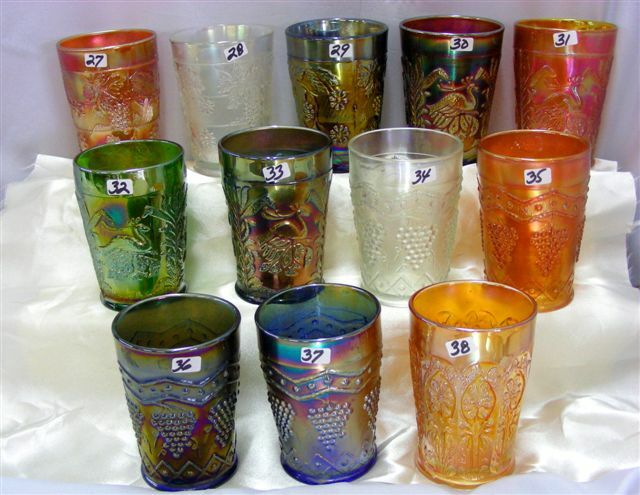 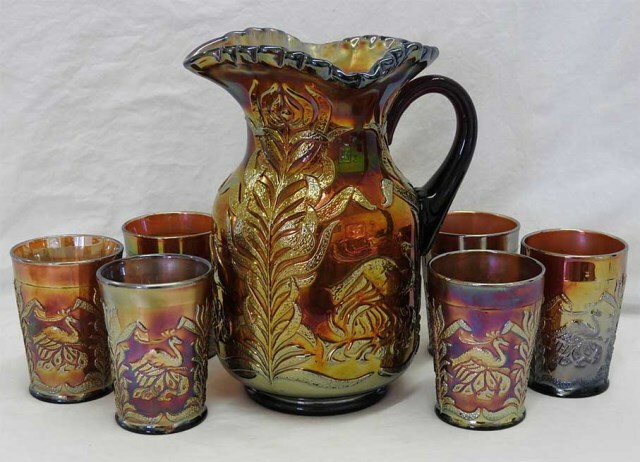 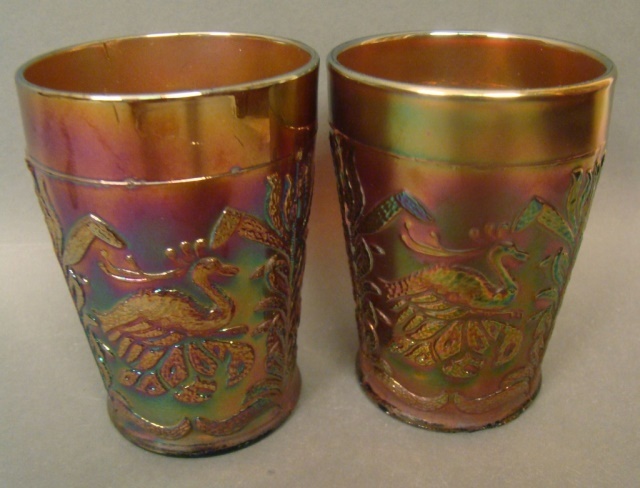 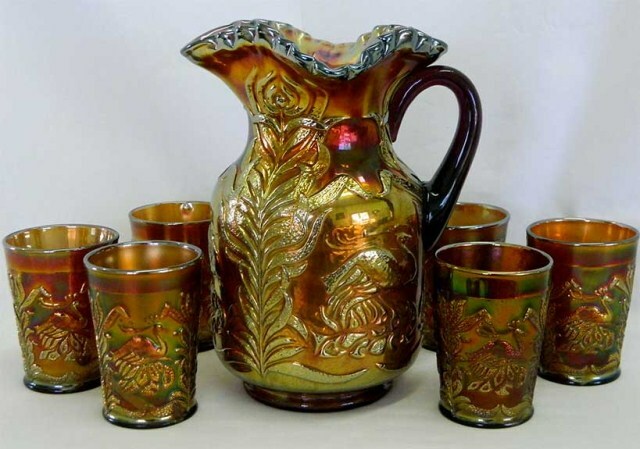 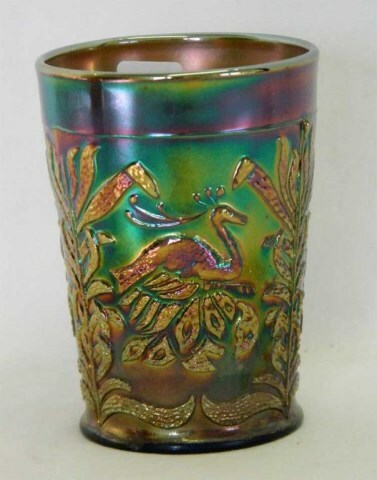 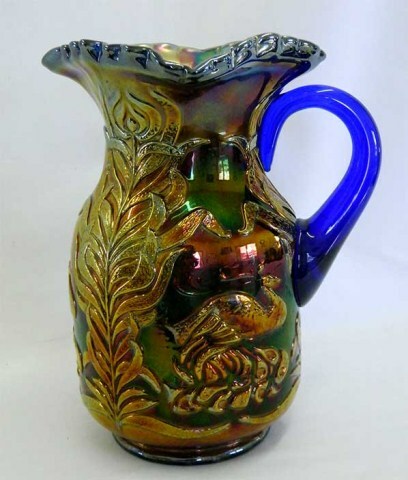 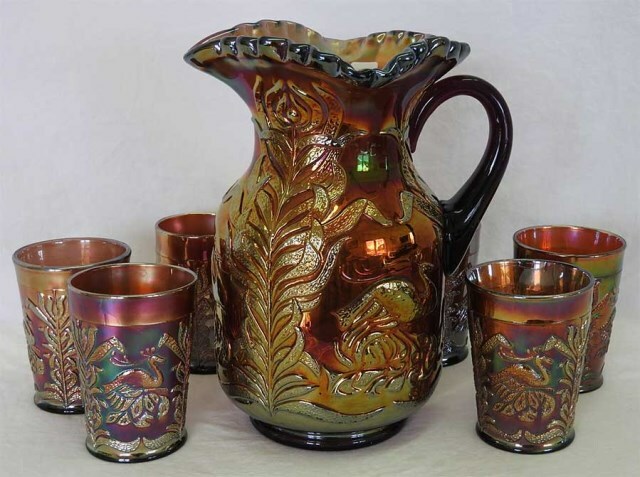 Although the name would suggest that the peacock is a dominant part of the design, it's rather small–especially on the pitcher. 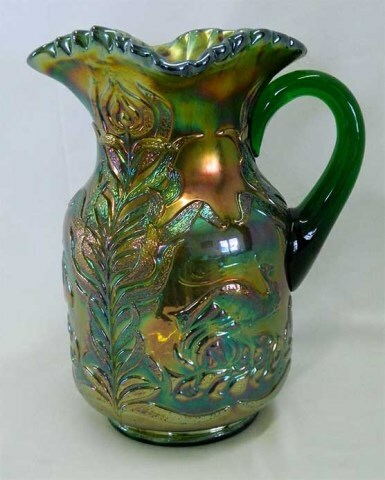 A frond of leaves runs the entire height of the pattern, however. 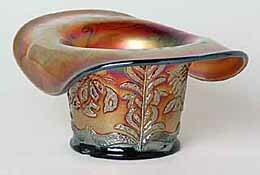 The unusual hat in amethyst below, the only one I know of, sold in 2003 for $225–with a small base chip.